The British Horseracing Authority has announced four cases of equine influenza have been identified in vaccinated thoroughbreds at the Newmarket yard of trainer Simon Crisford. The findings are a blow to racing’s hopes of resuming action on Wednesday, following an enforced six-day shutdown following the three cases – which subsequently rose to six – of the highly-infectious disease found at Donald McCain’s stable in Cheshire. The BHA said on Sunday night that Crisford – former long-standing racing manager to Godolphin – had been named “in order to ensure the Newmarket community is aware of the yard at which an infection has been identified”. It added: “No non-urgent journeys should be made to this yard – including by the media – and anyone who wishes to travel to the yard is advised to first contact the trainer’s office. A statement from the BHA added: “A further update will be issued as early as possible tomorrow. Racing in Britain was cancelled on Thursday, following an announcement by the BHA on Wednesday night of the McCain outbreaks, with the yard having had runners earlier in the week. However, meetings are continuing to take place as scheduled in Ireland, albeit with British runners prevented from travelling. Speaking in the afternoon update, David Sykes, director of equine health and welfare for the BHA, had said: “The data is encouraging and provides a further indication that the precautionary safety measures have helped to contain the spread of disease. Sykes went on: “The prioritisation exercise with regards to testing will help deliver a detailed picture of the spread of infection. “Targeted testing, alongside the wide survey of data we have already gathered, will help provide a clear picture as to the scale of the spread of the disease. “Any decision will include guidance and input from veterinary experts, including the industry’s veterinary committee. “We are also working through the process that will be followed in order to give specific yards the all clear to resume racing. 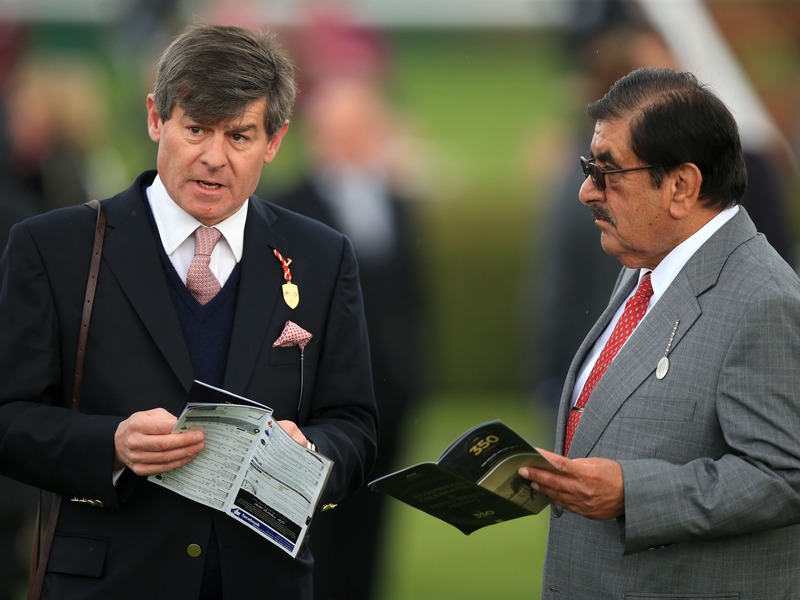 Crisford enjoyed a successful season in 2018, and has high hopes of Classic success in the new campaign with the once-beaten colt Jash, owned by Sheikh Hamdan and prominent in the betting for the Qipco 2000 Guineas. He also enjoyed victory at Royal Ascot in June, winning the Britannia Handicap with Ostilio. The BHA had said in the afternoon statement that “a pragmatic and evidence-led approach” was being adopted in order to make a decision if racing can swing back into action as hoped on Wednesday, with a prioritisation plan for testing in place. It said that plan places emphasis on the “the proximity of horses to a positive test, or to a yard returning a positive test” with swabs continuing to be collected and tested, with some being “fast tracked”. The BHA also said “a specific plan is being formed as to what the clearance process will be for individual yards to return to racing”. The BHA also confirmed all horses from the stable of Rebecca Menzies have now tested negative, although the yard remains under close surveillance.